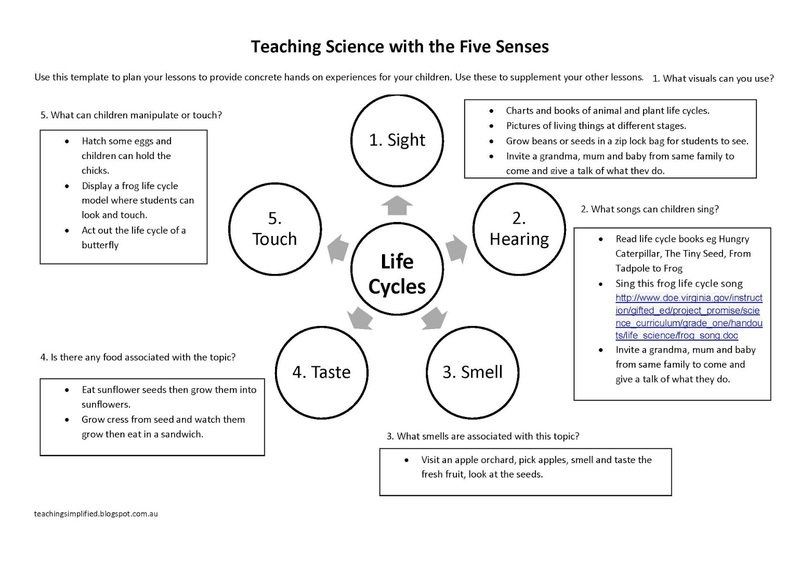 Free Printable: Teaching with the Five Senses Planner. Download pdf below. 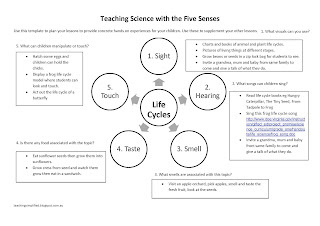 In a previous post, I wrote about how children need to learn using their five senses. This will make their learning more concrete and give them background knowledge. In another post, I gave the example of how to use the 5 senses to teach your child to read. 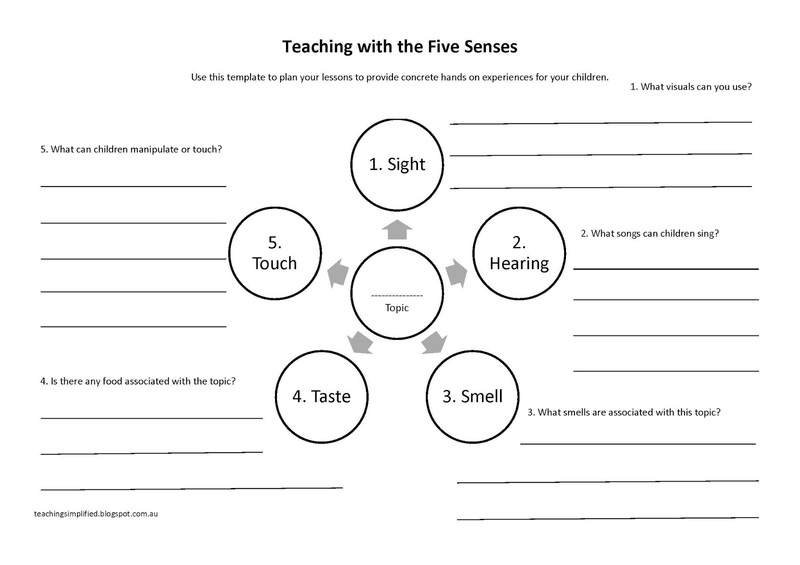 To make it easier for parents and teachers to include as many activities using the five senses, I have made this planner. 1. Write the topic to be taught in the middle circle. 2. Brainstorm activities that children could do using visuals, auditory, olfactory, taste and touch/manipulatives/kinaesthetic. Write them down in the relevant areas. 3. Select the best ones and write them into your program. Download your planner copy here.